Massachusetts congressman William Delahunt and Citizens Energy president Joe “For Oil” Kennedy today unveiled plans for a reworded CITGO sign in Kenmore Square. The neon icon has for decades has been a Boston landmark and is well known to fans and television viewers of the Boston Red Sox. The changes to the sign come in the wake of a deal cut by Kennedy and Delahunt with Venezuelan President Hugo Chavez. Under the terms of the agreement, CITGO will provide steep discounts on oil to low-income Massachusetts residents. Unknown to most Americans, CITGO is wholly owned by the government of Venezuela. 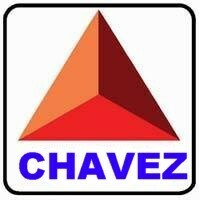 The large profits it has earned has enabled Chavez -- whose antipathy to George W. Bush is well known (he calls Bush a "genocidal madman") -- to become a worldwide leader of anti-American sentiment. Both men said they expected the reworded CITGO sign, a mockup of which is shown at left, to erected within a few weeks.